Whilst enjoying a gentle afternoon stroll up Maeyama San last January, I couldn't help but notice a peak to the skiers left of maeyama san which I later identified (hopefully correctly) as Kanna San. As you can see by this photo (taken about halfway up the hike between the top of the Hotel 5 Quad and Maeyama San) it looks absolutely sick, some really genuine steeps! What is the best way to access this peak? My best guess would be to head over to Seki Onsen and take the lift(s) up and hike the rest, hopefully along the ridgeline entering from the right of the photo. It looks way too steep (and maybe a bit avalanchey too!) to skin/snowshoe up directly. Maybe you could also take the ridgeline in from the left of the photo, coming from Maeyama San. Also, once you get down how do you get out? I am guessing you may be able to come out somewhere near Tsubame Onsen, but that it would definitely involve a skin/snowshoe out as well. It was a bit hard to scope out the terrain as it was just constantly snowing the entire 10 days I was there. I've had a good look at Google Earth, but the terrain and topography detail is just not detailed enough to suss it out properly. It's a good question Method. Bill (formerly of MBSS) and his mates from Dancing Snow would be the expert on this. I might send him an email to come online to answer the question or else let you know what I hear from him. 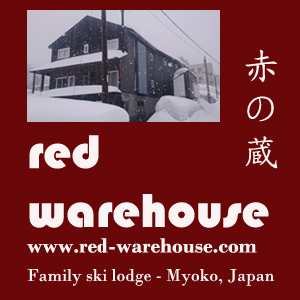 Bill from Dancing Snow (still with some connection to Myoko Backcountry, but going independent) here. You can get up Kanna-san either from the top of Seki Onsen ski area, or from the opposite side of the big valley from the Kyukamura resort (meaning car access). We do the latter with tours, as it's within the abilities of more people—although it is a long hike up there. Longer down on the Kyukamura side, but not ideal for boarders as there's a bit of a hike out on a snow-covered road. From the Seki side, it's a pretty typical hike up through the buna and dakekamba trees, then it gets really narrow as you come to that first area above the valley. Like knife-edge, almost, and a little hairy in really snowy conditions. Get up higher and you can decide where you'd like to come down. You could work along the top to the peak of Kanna and keep going to the west, where there are some nice open faces (I had some fun in May going even further back and goofing around with snow bollards and ropes on the big face where the summer trail cuts across, wishing I had skis instead as you could get down in about 30 seconds). People look at the couloirs and super-steep faces right below the peak down toward Tsubame, but I've never seen anybody in there (the exit might be tricky unless you go further to the west, becasue you pretty much drop into the river). It's all real avalanche prone, but that's what you'd expect from that kind of terrain. The descent on that side is back to Tsubama Onsen, which is a little tricky as it gets real steep and the main river sort of cuts access off if you don't get across to skier's right high/early enough. People do go into that big valley on Kanna sometimes—but note that it also produces some of the biggest avalanches in the whole area (there was even a scientific paper in Japanese on a huge avalanche that knocked out tons of trees in the national forest, ran something like 6km). One section of the cornice on the north side breaks off and a lot of stuff can be in that valley with you real fast.... So not that often, and you won't see me in there! Kanna-san is the northeastern most point of the caldera that goes all the way around to Akakura-yama above Ikenotaira, so you can even access by going up Suginohara ski area, climbing to the top and going past Mitahara, the highest point, and keep going—it's pretty fast up there, and there are some nice big faces all along the inside. I do occasionally meet people, especially in spring, who have come from Mitahara all the way around, or one of the two mountain huts on the way to Hiuchi-san, coming down on the north side back toward Kyukamura. So there's lots you can do, lots to explore! OK, nice one Bill. Thanks. Sounds like that face is a bit too risky, if you don't get covered up in a slide, it looks like getting out may be more trouble than it's worth. Hopefully I will make it up to Japan and Myoko this winter. Last time the only real hiking we did was up Maeyama-San in reasonable vis (didn't have a guide) as it was my first time and I didn't really know the area, so didn't go too far. Had a look at your website, let us know when it's up to date, some of the tabs didn't seem to work. Would love to explore some of the myoko backcountry, so if I come up you will definitely get some business from me. I've invested in a splitboard which I tried out in NZ this southern winter and on long hikes, it's definitely easy than snowshoes. The overnight hut trip sound really good. I met you when I stayed at Windsor in late January this year. Hey Method! Well, keep moving around the hill, and you'll find some good stuff up there! There are a lot of places that we go in summer but I haven't yet in winter (and vice versa, as what's jungle in the summer is open territory in the snow, right?). Please do stop by, whether you tour with us or not—always fun to talk about stuff, and we'll have our building open in November and be getting ready for its inevitable burial in the snow (it's outside my front door, though, so the clearing should be easy). And I promise to have the website finished really soon! It's always hardest when it's your own, and I want to get things done well so afterward we're just tweaking it. Good one on the splitboard; one of my clients last spring used the new K2 one on a trip to Mt. Hiuchi—he and I had a lot more fun than his friends on snowshoes, especially in one big traverse across a steep, open slope. Just much easier to get around with them. And, yes, I do come by the Windsor on occasion (although we might get a liquor license for beer service at the Dancing Snow Work Headquarters . Yes, Nothing like some overstatement, huh? Do want to have a fun year, though. Hope to see you here! Yeah ok, I see what you mean about that caldera (I just worked out how to get terrain contours on google maps ). What I didn't realise is that caldera is actually quite deep. Judging by the contours it is up to 200 meters in places between Akakurayama and Mitahara San. "Glimpsing" through the cloud, I just assumed the terrain flattened a bit out above Akakurayama and then steepened up again going up to Myoko San. I imagine the snow would be nice and soft in there! The other thing I noticed is that you might get a good run off the back of Maeyama San down to Tsubame Onsen, or if you got too deep into the gully would you end up in the same place/valley you mentioned below Kanna San? Looking at photos I see there is a waterfall above Tsubame somewhere. Failing dropping over the back, I am 99% sure you could stay on the ridgeline (skiers left from the top of Maeyama San) and then above that old champion (is it #5?) lift (any plans to re-open that btw?) down to Tsubame. I say I am 99% sure because we hiked up to the top of that old lift (descended down the old piste as the vis was good) and near the top saw tracks heading east (skiers left of the old lift) and looking at the map the only place they can have gone is Tsubame. I remember going skiers left off piste (is there any other way to go! ) off the top of Champion #2 quad and coming out on that road down from tsubame that leads through the little tunnel and you come out on the Akakura Onsen side. I wondered what the buildings I saw on the other side of the cat track were and subsequently worked out it was most likely the Tsubame highland hotel.